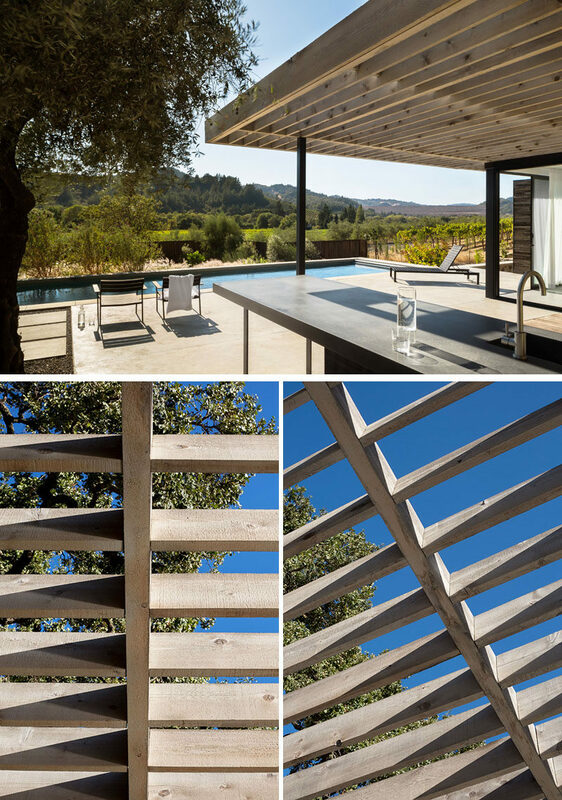 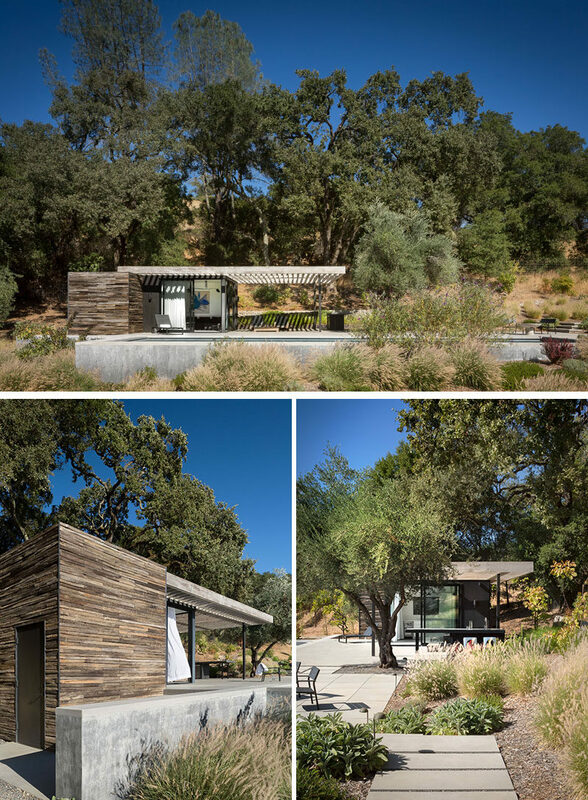 RO|ROCKETT DESIGN have completed a modern pool house as part of a rustic retreat for a couple in Geyserville, California. 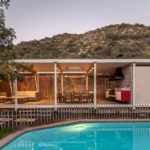 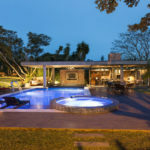 The exterior of the pool house is wrapped in grape stakes gathered from the property, which were then resawn to operate as a shroud to the private interiors of the building, that’s home to a living room, wet bar, and bathroom. 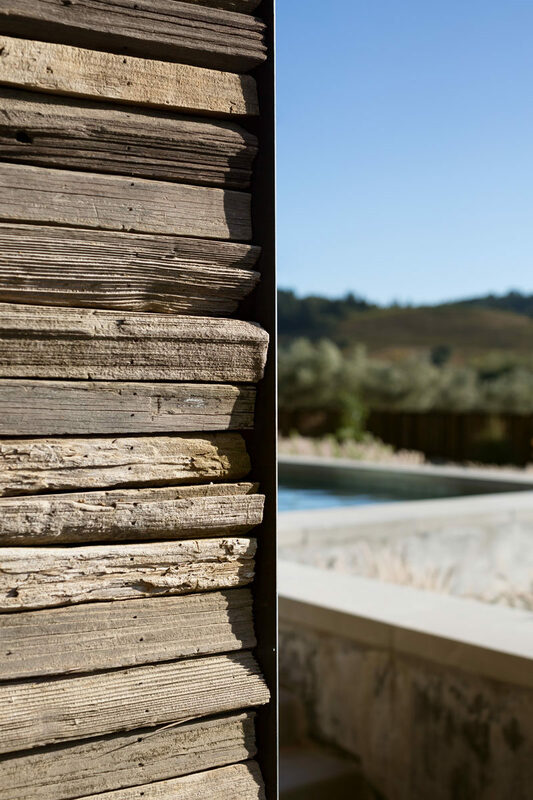 Here’s a closer look at the wooden stakes that were gathered from the property and repurposed. 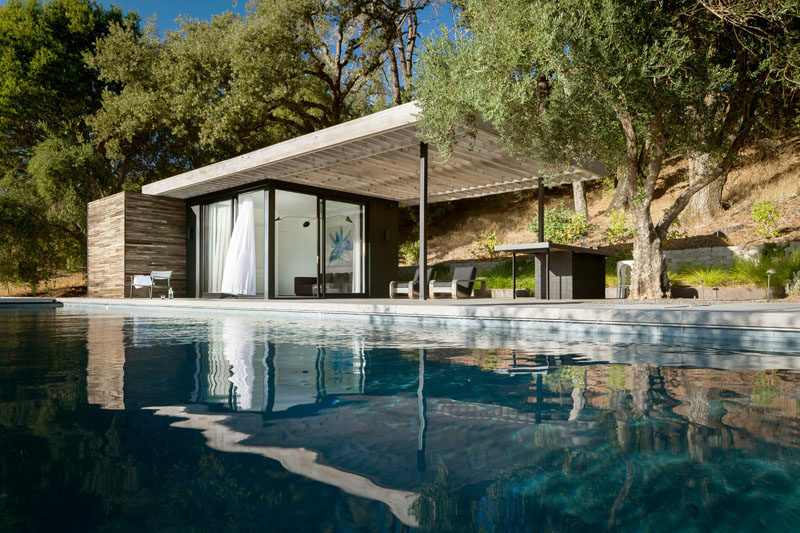 Large sliding doors connect the interior spaces with the semi-covered outdoor terrace, that has an outdoor kitchen and views of the surrounding area. 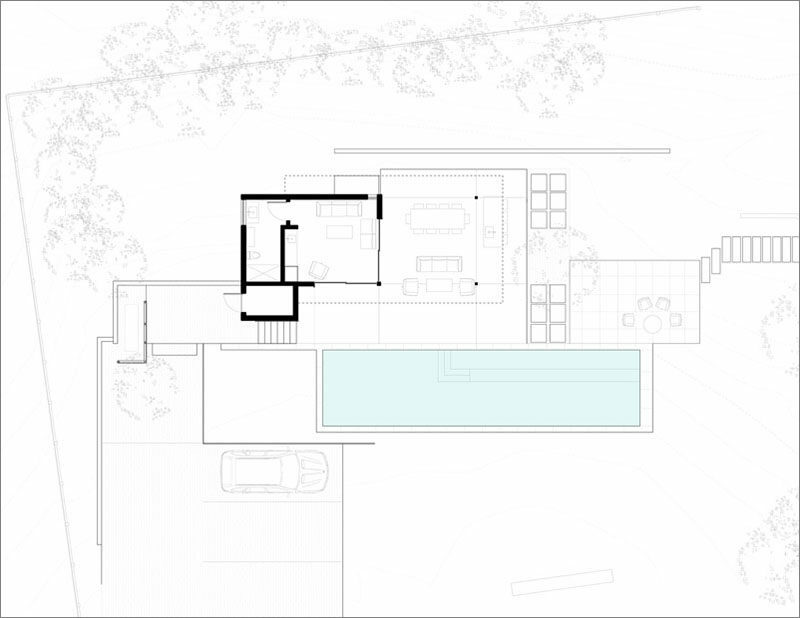 The floor plan shows the layout of the pool house, terrace, swimming pool, garden, and guest parking area.